So. I was talking to a friend of mine about how to do shading less abrasive and all WHOAH! in the face like on some of my previous pictures. They told me to try various techniques, amongst one I experimented with on this picture and it came out more smooth than I'd anticipated. That aside, I thought i'd get back into the swing of things. Drawing can be fun if done at ones own pace and choice. Also, on a cue note: I am not interested in getting remarks about tracing and whatnot. That doesn't get anyone anywhere as I use reference pictures (And occasionally tracing) as basis for practice. I do not do commissions, and for the time being, don't feel like doing such till I feel that I can do such without feeling pressured or overly challenged. 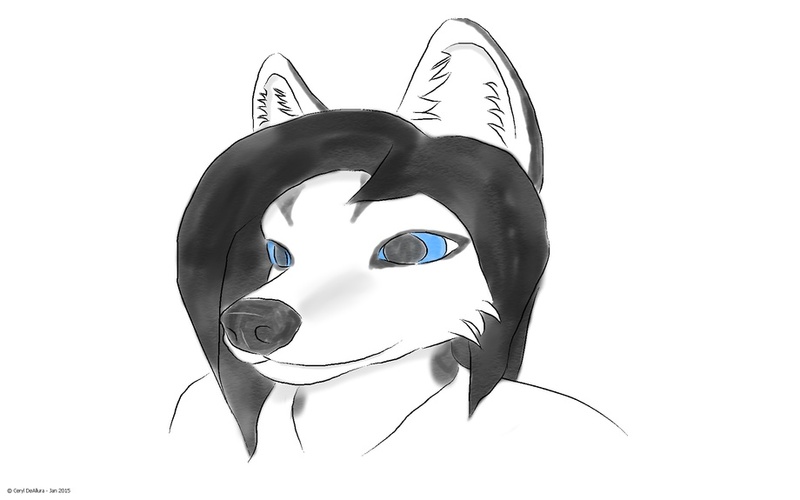 I draw because I like to draw, and I am near blind RL, so *patpats* Just enjoy life for once.